Home gardening tips Are you watering your plants the right way? In my initial days of gardening, my enthusiasm for watering my plants frequently kept crossing the limits? And I kept wondering why my plants kept decaying while I was so religiously following my daily watering duty! Do you also often wonder if you are watering your plants right and meeting their requirements? Striking a right balance between needful watering and overwatering is often overwhelming for new gardeners. And not just new, sometimes, even the most experienced ones of the lot do not get it right. 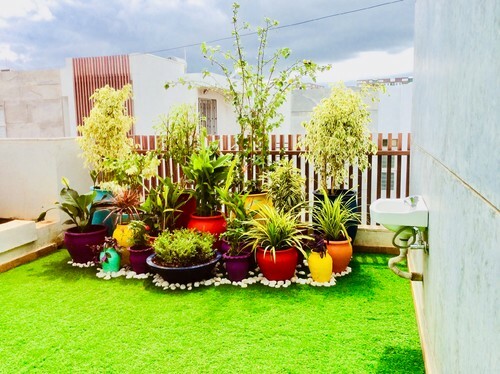 Finding the correct watering method for your plants depends on a lot of factors like the climatic zone, the plant species as well as the placement. You cannot water your indoor and outdoor plants with the same rules, right? Feeling anxious? Do not worry because you have probably landed at the right place to find answers to all your watering related questions. We’ve got you covered with some golden tips on watering the plants in the right way. Read on. Watering plants essentially will depend on the type of plant as well as where the plant is placed. While watering indoor plants may seem easier since there is less exposure to outdoor environmental elements which gives you more control; they too show signs of decay if not watered following the right tips. Watering outdoor plants is an entirely different story! It is much more tricky considering the fact that one does not have as much control as compared to the indoor ones. Additionally, environmental factors play a big part in determining every day watering needs of outdoor plants. Further, for both indoor and outdoor plants, it is important to carefully watch for the signs of dehydration as well as overwatering. Most plants start showing a stunted growth with the leaves becoming translucent and losing their thickness and color or even turning yellow. If you notice any of these, your plants are perhaps calling out for an immediate sip of water. That said, too much of watering is equally dangerous as well. New leaves falling from a young plant or sour smell coming from the base of the plant (which indicates root rot) are signs of overhydration which calls for a reduction in your watering frequency. The quality of water is also an essential factor to consider. You may plan to recycle some of the grey water from your kitchen and install a small recycling unit in your garden. Make sure that your irrigation water quality is suitable for your plants by getting the same tested in a laboratory. Read on for some useful watering tips for both indoor as well as outdoor plants. Checking soil moisture is one of the most critical requirements when it comes to watering indoor plants. Indoor plants need not be watered routinely. The watering time should be based on the needs of the plant. You can check the moisture content by stinking your finger an inch or so within the soil. If the soil is easy to penetrate and feels moist, it is probably not time yet to give them an additional sip of water. It is important to remember that the plants absorb water through their roots which further feed and nourish the entire plant system. Spraying water on the foliage or the stem is not just a waste of the precious resource since a good amount of water gets lost with evaporation, it also often attracts a host of pests like fungus which thrive in moist conditions. It is best advised to hydrate the soil closer to the base of the plant with slow, prolonged water release systems for the roots to absorb the water. This is particularly important when watering plants like the delicate perennials or edibles like vegetables. Ensure that your indoor plants have an underlying dish for the pot to sit on. This will help catch the excess water if any. You must have seen the hole on the underlying surface of the pots. That is obviously for the excess water to flow out and save your green babies from rotting. The dish will keep the water away from spilling on the floor and would keep you and your family safe from slipping on the water! Giving too much water is often a waste and harmful to the plants. Remember, the weather conditions are not constant and change on a daily basis. Water requirements for plants also change based on the same. Water the plants depending on your regional climatic conditions as well as based on the soil moisture content. We are not denying that water is essential for the health of plants, having a short dry soil spell intermittently is also important. You ask why? Because dry solid conditions force the roots to grow and travel in search of more water resources which makes the plant system stronger. Additionally, over watering the plants will attract a host of diseases. Water the plants when the topsoil surface looks a little dried up. Early morning is the best time to water the plants since the plants will have moist soil conditions all through the day when the temperatures peak and keep the soil dry during the evening and night hours thereby preventing any disease-causing pests to get attracted to the plant system. Watering the soil at night brings long hours of moist soil conditions thus drawing various plant diseases. Additionally, mid-day watering is less effective since a good amount of water goes wasted as a result of evaporation. Not all plants have similar thirst levels. So divide your garden and the plants based on their irrigation needs. This is not only a convenient but can also save a lot of water by cutting down the irrigation levels in the zones where less water is needed. Various modern irrigation techniques like drip irrigation system or sprinkler irrigation system are automated as per the watering need of a particular zone. Watering with the hose turned on to high pressure often does more harm than good. Most of the water applied with high pressure will flow away as surface runoff thereby not reaching the required depths for the roots to absorb. Additionally, it also ends up destroying the fertile topsoil layers. Ensure that your hose or other irrigation system is set to low pressure and the water is released slowly thereby allowing it to seep into the deep soil layers. Do not underestimate the role of seasons while irrigating your plants! Summers and dry seasons call for more frequent watering whereas rainy season may ask for minimal to almost no watering requirements. Watering when there is a prediction of rain will end up making your flower beds waterlogged thereby causing more harm than benefit. If you use smart irrigation devises like drip or sprinkler systems, you may install a shut-off device which will auto detect moisture or precipitation and will shut down accordingly. Adoption of new technologies is perhaps the smartest decision you can take when it comes to gardening. Various new irrigation techniques like drip irrigation system, sprinkler irrigation system, self-watering planters, etc. have been devised to make every day watering an automated as well as a convenient task for the users. You can easily plan a vacation and go away for days without having to worry about watering your plants by merely setting up the watering timings and the daily routine. And not just that, they are tremendously efficient at conserving water too. Mulch? Is it something you have never heard of? Mulch is a layer of synthetic or organic material which is applied to the top surface of the soil mainly to increase visual aesthetics. Various materials are used as mulch which includes straw, wood chips, and shreds, sawdust, shells, shredded cardboard, etc. Using mulch is an easy and convenient way to reduce your watering frequency. Mulch, when added to the top surface of the soil, will reduce the losses due to evaporation and will keep the soil moist for longer intervals thereby reducing the overall watering needs. It is a great tip when you want to go away for a couple of days and yet want to see your plants happy when you return. Even with all the tips mentioned above, it is sometimes important to take some important precautions to water the plants in the right way. As mentioned before, keep a look out for early signs of dehydration as well as overwatering and take prompt actions as soon as you notice them. Just like life, watering your plants is a tricky situation and requires a good deal of balance. 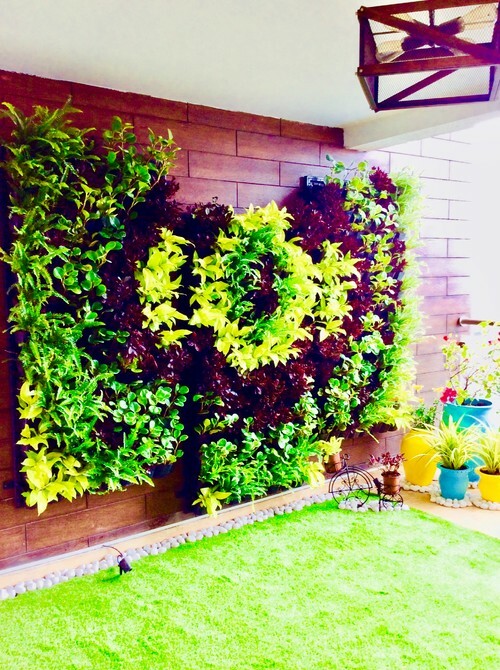 Ensure that you give the required time and attention to check the watering requirements of your plants and they will bounce with life making your outdoor and indoor spaces a visual delight.